The centenary of the Balfour Declaration coincided with the 500th anniversary of Martin Luther’s initiation of his rebellion against the Papacy. James Renton will argue that these two events are not just connected by a coincidence of the calendar. Luther, he contends, began a political theological frame of thinking about fanaticism in reference to Jews, Christians and Muslims that was absolutely central to the publication of the Declaration four centuries later. 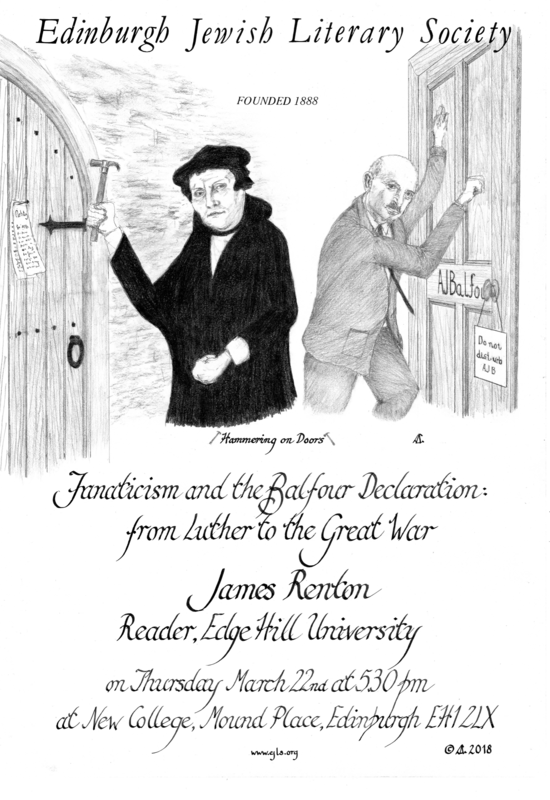 James Renton is Reader in History and Chair of the Ethnicity, Race, and Racism Seminar at Edge Hill University. Currently he is a Jean Monnet Fellow at the European University in Florence. He is interested in the history of race, particularly antisemitism and Islamophobia, empire, and in the intellectual history of global politics. His first book was a new history of the Balfour Declaration: The Zionist Masquerade: The Birth of the Anglo-Zionist Alliance, 1914-1918 (Palgrave Macmillan, 2007). He is currently writing a monograph on the British imperial idea of the Middle East and its consequences.